Turns waste fuel into a resource: generate power from generally unusable gas sources. Designed to operate on a much wider range of fuels. When configured for low-quality fuels, our systems are designed to operate on gas with concentration as low as 50 Btu/scf (1700 kJ/m3). By comparison, most turbine, engine, and fuel cell systems require fuel quality of significantly higher concentration. Flexible, configurable design; High pressure fuel injection for extremely low emissions, and Low pressure aspiration for use of lowest quality gas. Substantially lower air emissions. Particularly when configured for ultra-low emissions, our Power Oxidizer technology may produce substantially lower emissions of NOx, CO, and VOCs than competitive systems. Designed to achieve Lowest Achievable Emission Rate (LAER) for several major air pollutants (NOx , CO, VOC, PM2.5) in non-attainment areas. No chemicals or catalysts used (no urea or ammonia) for emissions control. Unlike other emissions control systems such as selective catalytic reduction, our Power Oxidizer does not use chemicals or catalysts and thus cannot be rendered inactive from catalyst poisoning. Mechanically simple: No actuating parts. Little or no fuel conditioning may be required. When configured for low-quality fuels, our systems are designed to require minimal fuel pre-treatment or conditioning. When configured for ultra-low emissions, we may require some additional fuel conditioning. However, regardless of configuration, our systems are designed to require substantially less fuel pre-treatment than competitive systems. 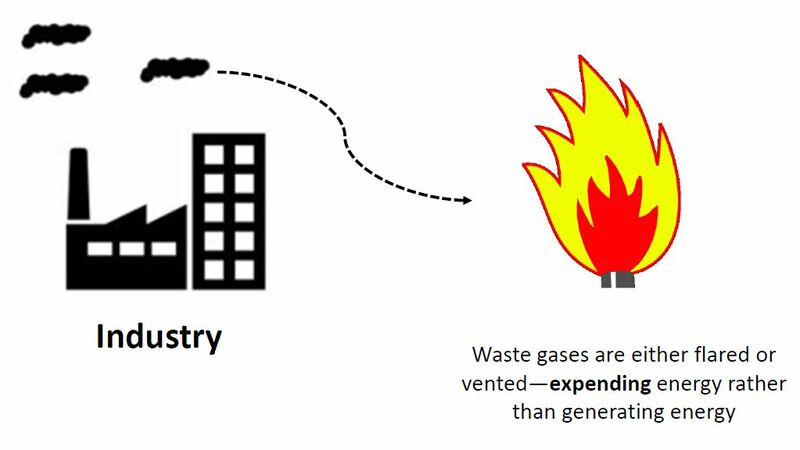 Process industries typically produce a broad range of low quality waste gases that cannot be processed by a combustion-based engine or turbine. As a result, these gases are burned off through flaring. They contribute significantly to greenhouse gas emissions and are targeted by environmental organizations and governments. Below are just some of the many solution opportunities for the Ener-Core oxidizer technology. Ener-Core’s Power Oxidizer works by replacing a combustion reaction with a chemically similar, but slower chemical oxidation reaction that occurs at lower temperatures than combustion. Our approach provides a unique and unparalleled value proposition, allowing for the extraction of energy from previously unusable fuels, significantly reducing harmful pollutants, and creating useful energy products. Oxidation occurs when a substance comes into contact with oxygen molecules–almost everything, over time, reacts with oxygen. Oxidation is typically a very slow process. For example, vented methane oxidized with atmospheric oxygen at very low concentrations. Over the course of many years, methane oxidation eventually results in CO2 and H2O. The Ener-Core Power Oxidizer is designed to control the oxidation process so that the reaction time and heat release are high enough to power a gas turbine, while the associated temperature remains low enough to avoid the formation of NOx. The Power Oxidizer is engineered to precisely control the gas feed rate to maintain temperature control needed to continuously power the gas turbine generator. Ener-Core’s patented Power Oxidizer is engineered to operate on lower quality gases that conventional reciprocating engines and gas turbines cannot. This enables the Oxidizer to overcome the acoustic and stability limitations associated with traditional technologies and provide solutions for customers intending to generate energy from low-Btu fuels, including previously unusable gases that are typically vented or flared. The Ener-Core Power Oxidizer is engineered to achieve Lowest Achievable Emission Rate (LAER) for several major air pollutants (NOx, CO, VOC, PM2.5) in non-attainment areas, with the potential to become Best Available Control Technology (BACT) for these pollutants in attainment areas. Ener-Core’s patented Power Oxidation technology is designed to control the conversion of fuel gas so that useful heat is released without the typical air pollution related to combustion. The unique design is intended to avoid NOx formation. In ultra-low emissions configuration, CO and VOCs are destroyed from the long residence time at the oxidizer operating temperature. The Ener-Core Powerstation has the potential to greatly reduce emissions profiles, simplifying compliance and easing permitting in even the most stringent air quality regions. The Ener-Core Power Oxidizer may benefit natural gas cogeneration systems, emissions controls, and mainstream large utility power generation from natural gas and distillates. The Power Oxidizer is designed to offer unparalleled pollution control and achieve extremely low emissions when integrated with larger existing power generation systems. Ener-Core designs and manufactures innovative systems for producing continuous energy from a broad range of sources, including previously unusable ultra-low quality gas. When paired with gas turbines, the patented Ener-Core Power Oxidizer and associated oxidation process enables the conversion of these gases into useful heat and power with the lowest known associated emissions. 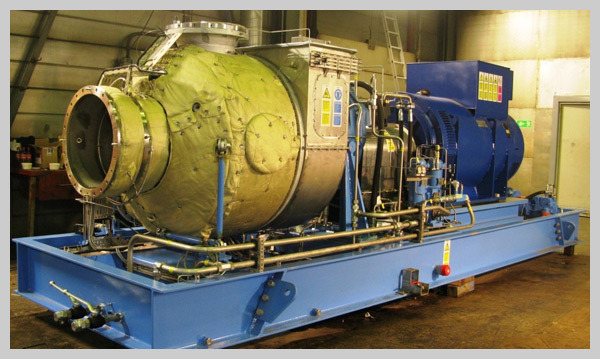 Our next generation product, the Ener-Core Power Oxidizer 2 MW (KG2-3GEF/PO) Powerstation combines our Power Oxidizer technology with a two megawatt gas turbine, developed by Dresser-Rand Group Inc. Ener-Core is accepting orders for this unit now.